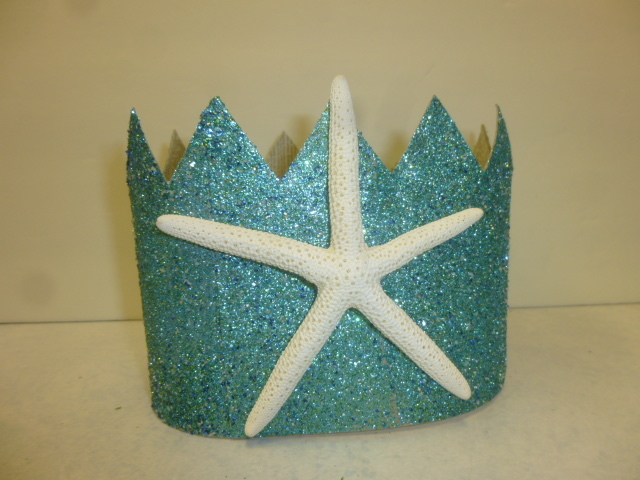 If the crown fits . . . WEAR IT! Not sure where I’ll be selling these just yet. 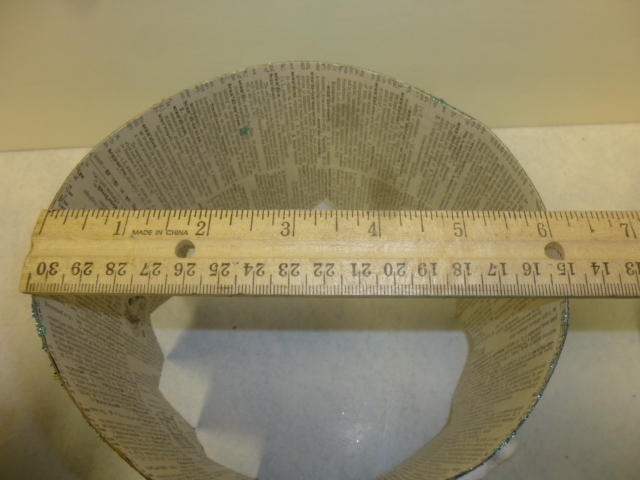 Don’t really have ROOM for them in my booth at Stars right now. 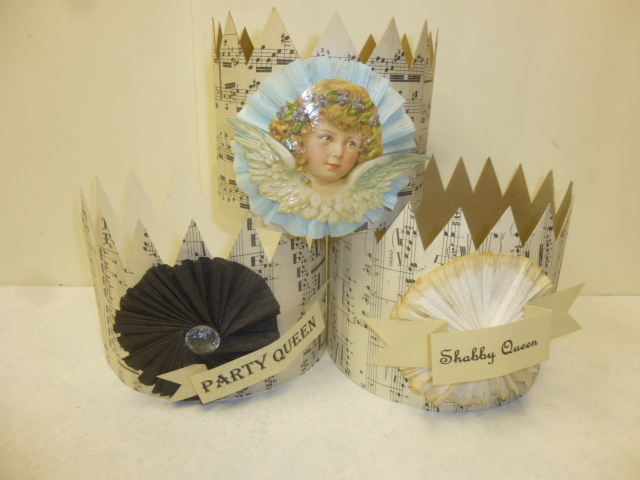 Just sheet music covered cardboard and simple embellishments. 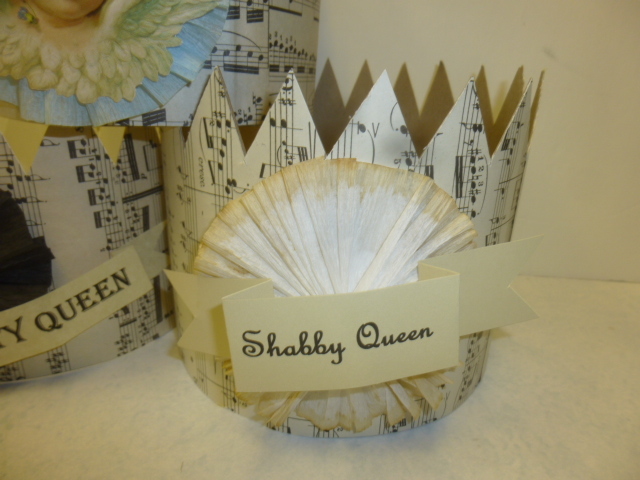 Shabby Queen with stained crepe paper rosette. 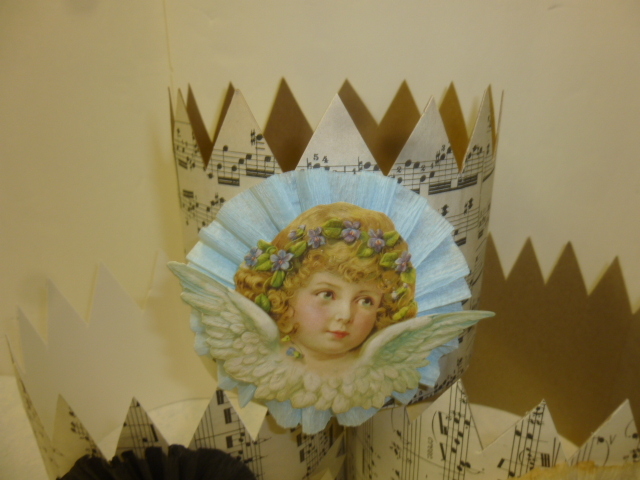 Victorian Angel with soft blue crepe paper rosette. 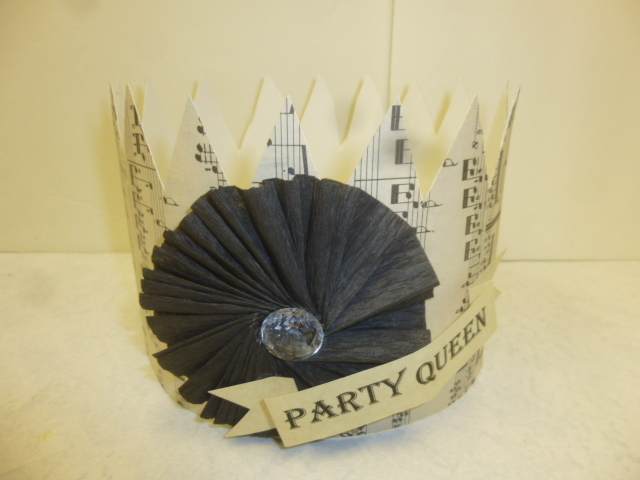 Party Queen with black crepe paper rosette and faux bling. 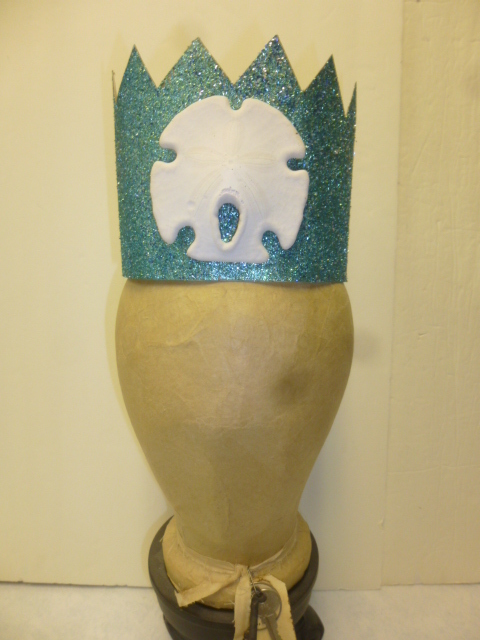 Queen of Everything with khaki crepe paper rosette. 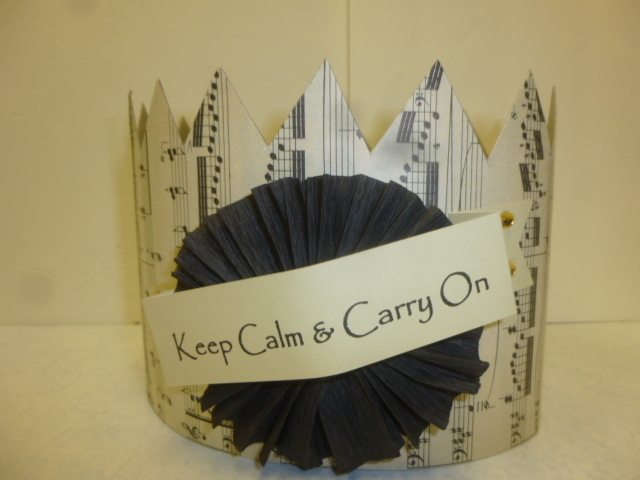 Keep Calm & Carry On with black crepe paper rosette and golden bling dots on the ends of the label. 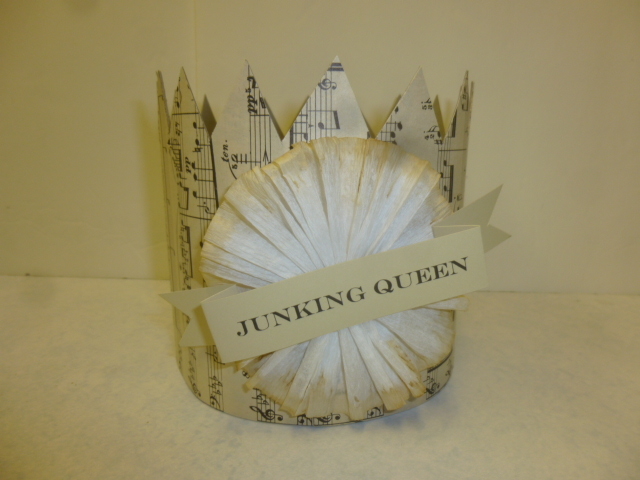 Jinking Queen with tea stained crepe paper rosette. 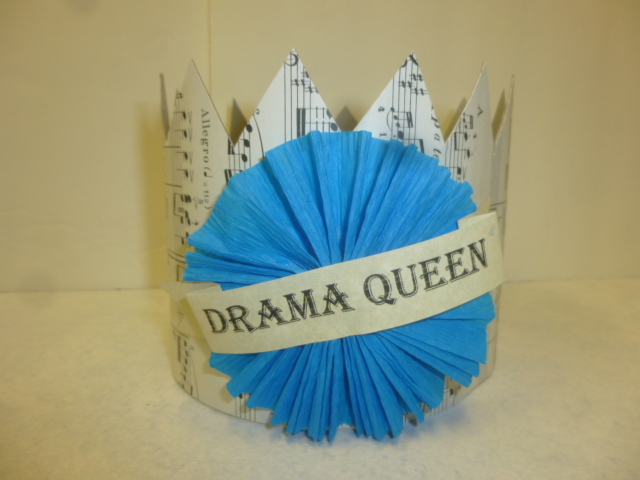 Drama Queen with turquoise crepe paper rosettes. 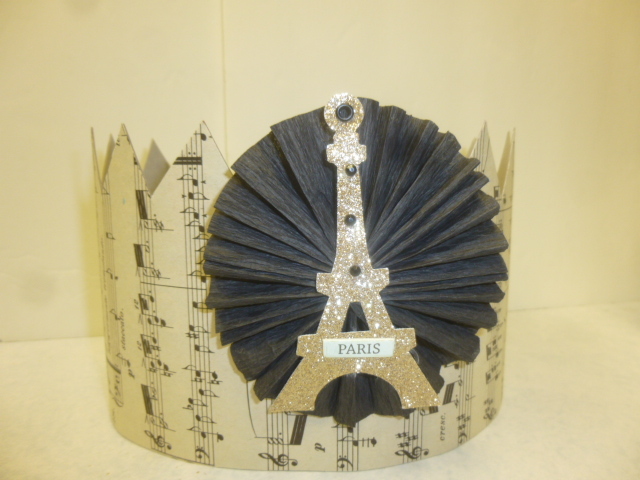 Gold Glitter Eiffel Tower with black crepe paper rosette. And my FAVORITES! 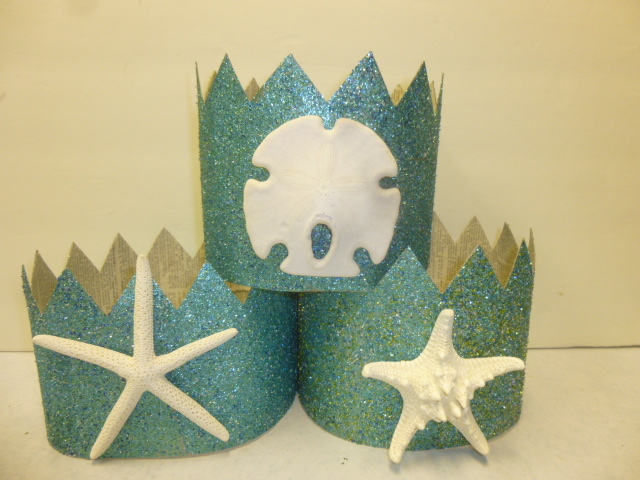 Mermaid crowns! These three are available in my etsy shop. I mixed the glitter myself and LOVER how it turned out!!! 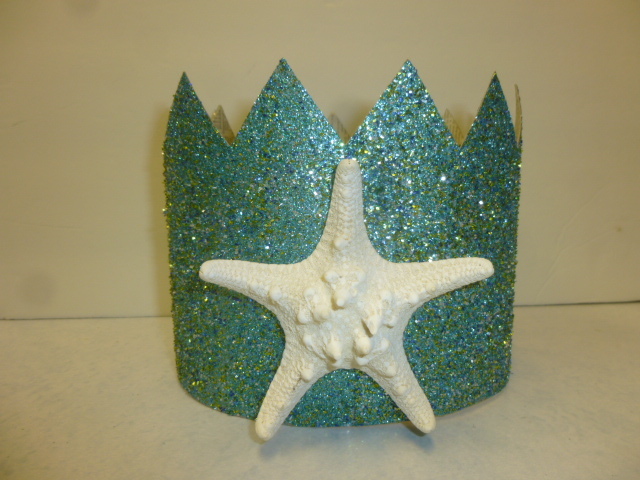 White fingerling starfish on this one. 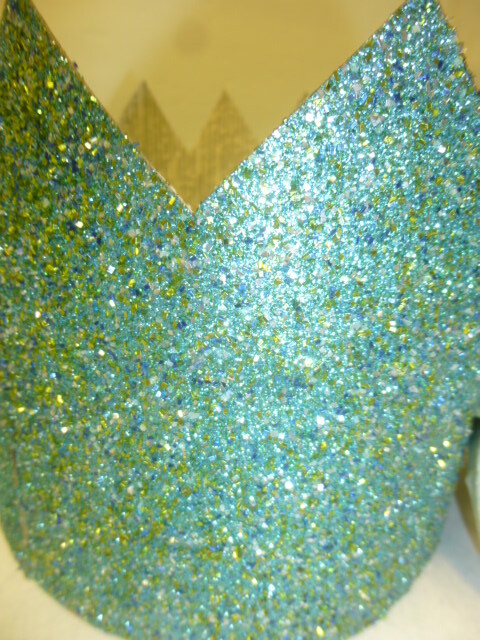 And, as I do with ALL my glittered items, I’ve added a clear topcoat to minimize the glitter shedding issue. 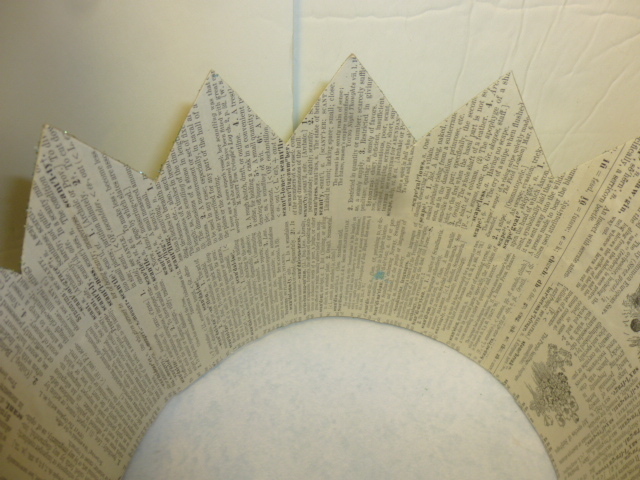 The insides of the glitter crowns are lined with vintage dictionary pages. 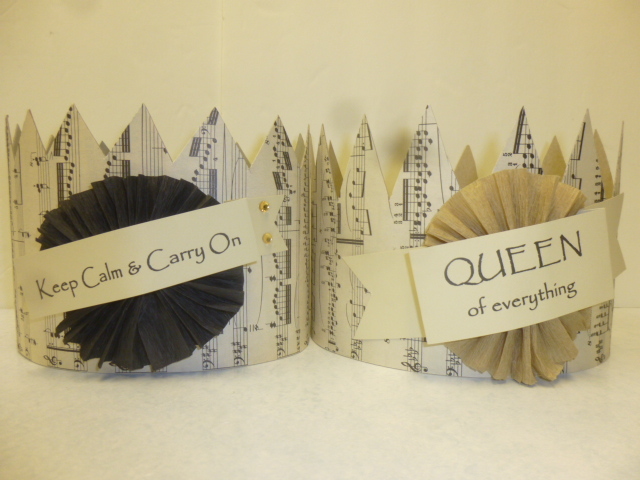 The sheet music crowns are plain cardboard on the inside. 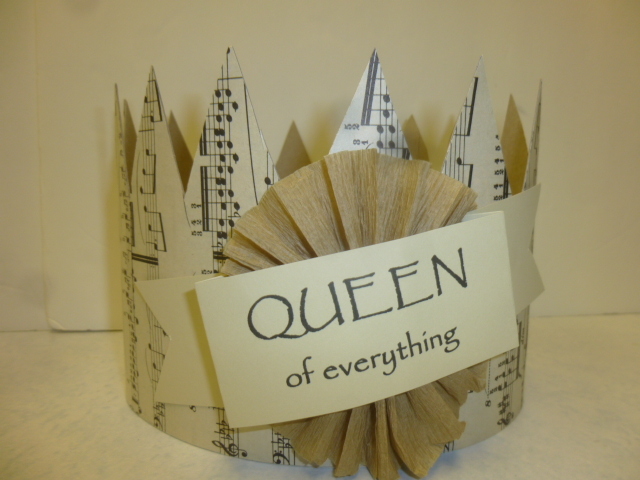 So, if the crown fits . . . wear it!